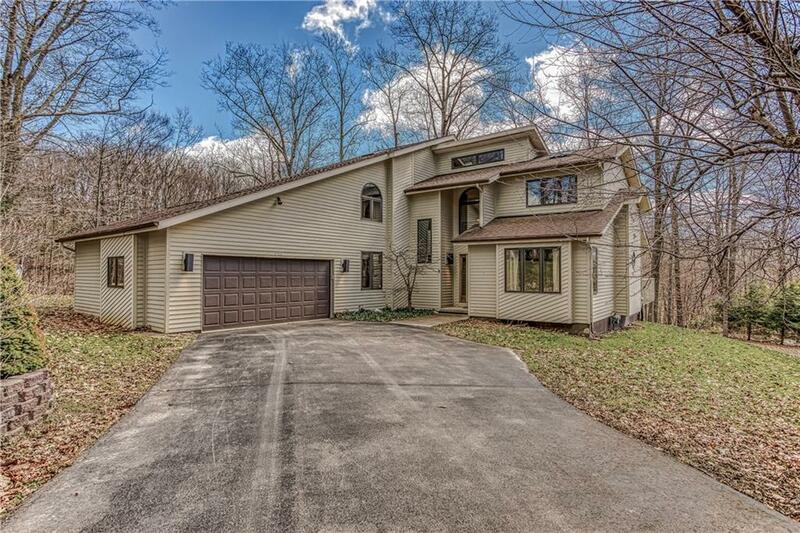 Beautiful home in Sunset Bay a very sought after area.DEEDED LAKE RIGHTS W/DOCK SLIP. Great floor plan with newer cherry cabinets,solid stainless sink hard ware,quartz counter tops,stainless appliances with double oven.Four season sun room and great room has fire place with french doors that lead to a large deck over looking woods of the state lands so you can watch the wild life.Master bedroom suite has a fire place,walk in closet and spacious bathroom with jacuzzi tub,and walk in shower.Family room offers wet bar, game area,fire place,spacious bathroom with french doors going to a stamped concrete patio.4,000+ sq ft of living space with finished lower level.Gas runs $74.00 per month, Dock fee $190.00 annually. Please look for the 3DVirtual Tour Icon above the photos. Directions To Property: Rt 430 Turn Left Right After Long Point Onto Sunset Bay Make First Right Then Left Onto Sunrise Dr House On Left Look For Sign.